Just Get Fit Can you target fat loss? 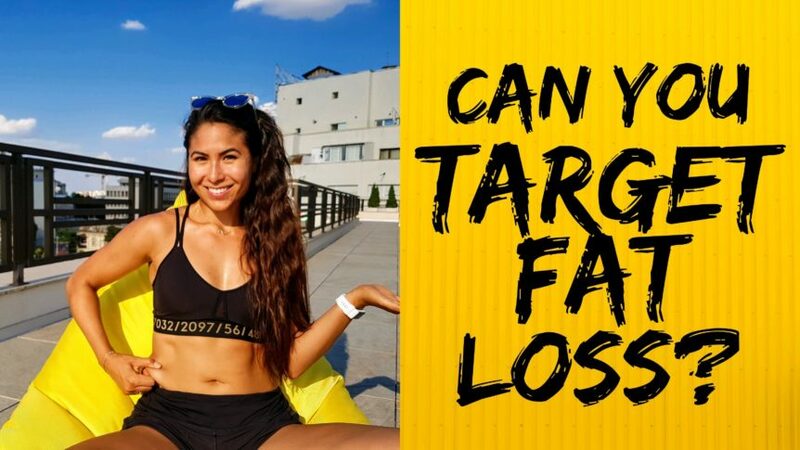 Is it actually possible to target what parts of your body lose fat? Belly fat, that wonderful stuff that shows up when you sit down, bend over, or.. wear pants. So many people are self conscious about their stomachs! I think it’s important to know that despite being fit, active and eating pretty darn healthy, you can in fact have a little more to love around your middle. I took this picture in response to one of the most common questions I get. “How can I spot reduce fat on my stomach/arms/back/etc.?”. The quick answer is, you can’t. You can only work towards reducing your overall body fat through healthy eating and exercise. You can’t choose where you lose or gain fat. Our genetics determine how quickly and from where we lose weight. That’s why doing 1000 sit ups a day won’t guarantee you defined abs. The truth miracle pills, skinny teas and waist trainers won’t make you healthy or give you abs. The only thing that will truly give you long lasting results is good old diet and exercise will. If you’re trying to lose weight, spend more time paying attention to what you’re eating. There’s a reason they say abs are made in the kitchen. Subscribe HERE to get recipes, weight loss, fitness and meal prep tips!